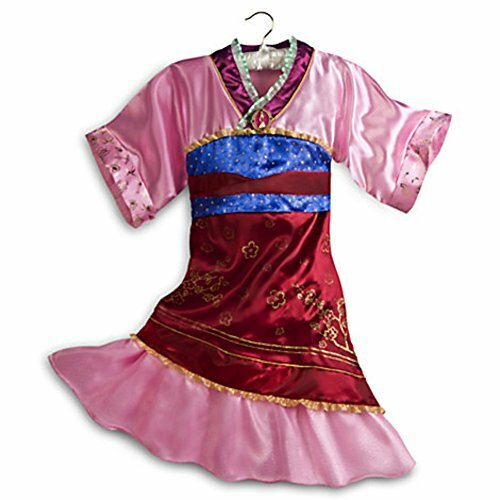 Bring honor to the role of spirited warrior Mulan with this deluxe costume inspired by our Limited Edition Doll. 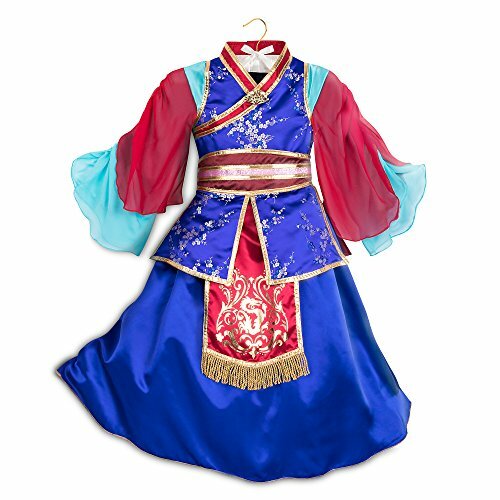 Beautifully detailed in satin with sash, golden trims and foil detailing, its ornate glamour is accented by a jeweled fan brooch. 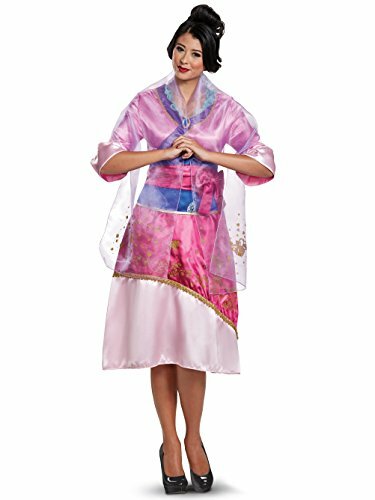 China doll! 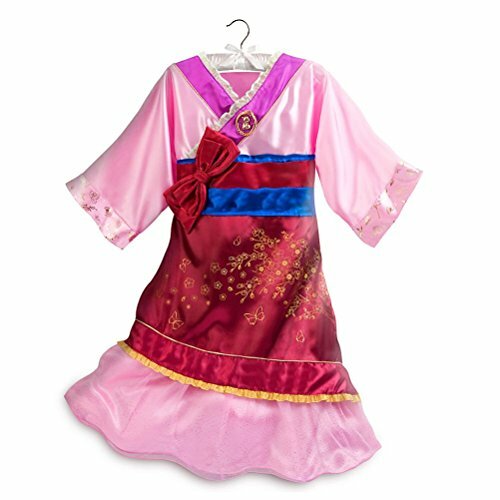 She will bring honor to the role of the courageous Disney Princess with this Mulan Costume for Girls. 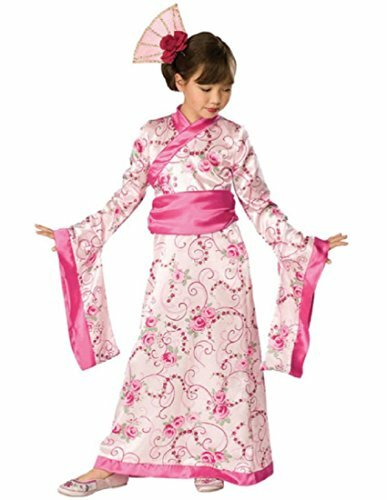 Beautifully detailed in satin with sash, and gold glitter detailing, its oriental glamour is accented with a dazzling Mulan cameo. 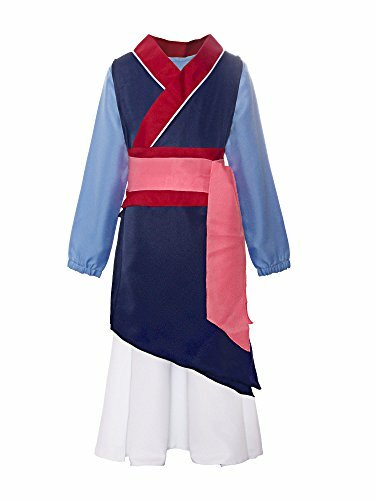 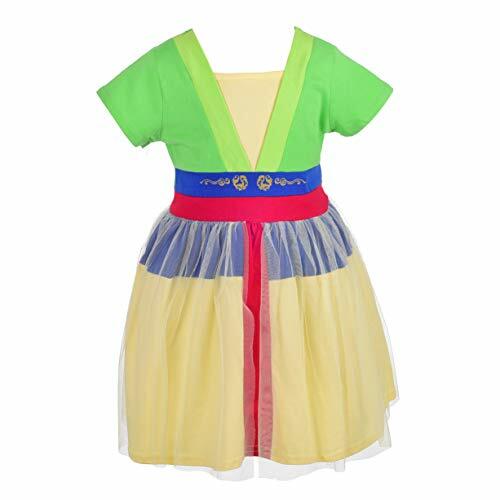 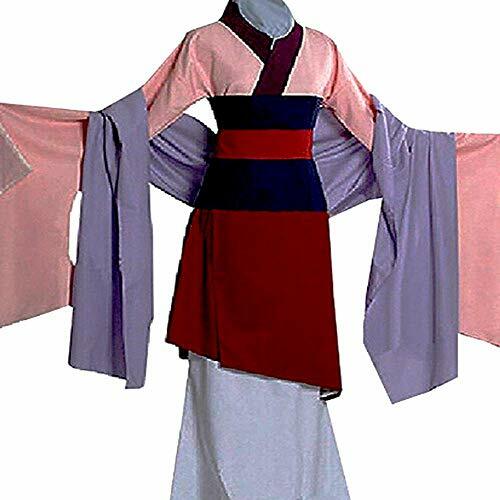 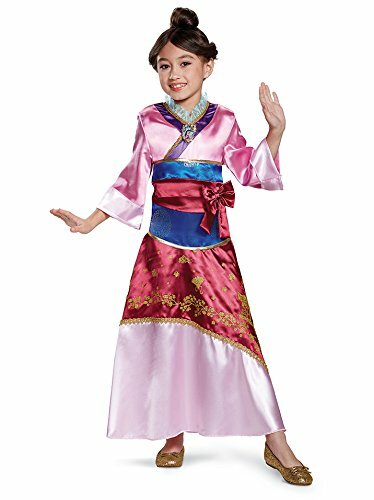 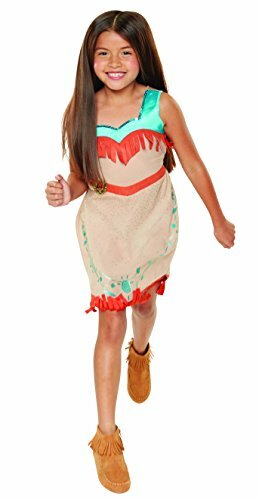 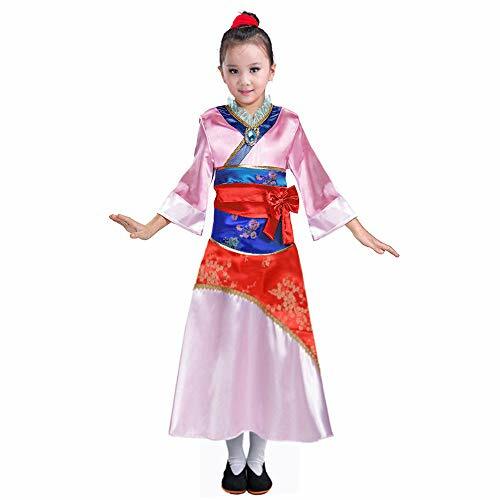 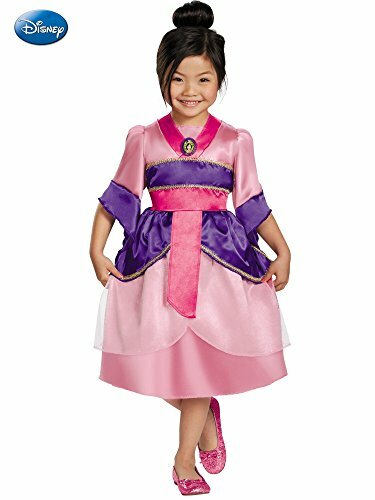 Their imagination will be filled with eastern promise as they cast themselves in the role of the courageous Disney Princess with this Mulan Costume for Kids. 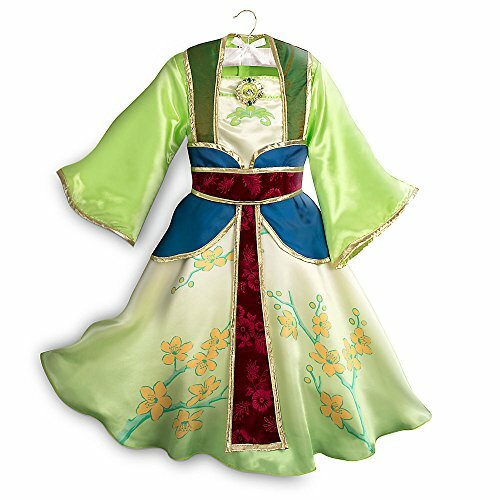 Rich with oriental glamour, it's beautifully detailed in yellow and green satin.